An immersion in the artistic experience of Francesco Hayez and his painting technique, by taking a closer look at a specific color to analyze its different hues. Starting from these shades of blue, we will go on to investigate the Hayez masterpieces in the museum rooms. We will focus on the symbolic use of color and the scientific surveys providing us with new information about the artworks of this great artist. Attractive colors, nectar, pleasing perfumes: Why? Let’s investigate the structure of flowers, these masterpieces of nature, and the reasons for the shapes and colors we find so attractive, not to mention the greedy insects looking for nourishment. Then, we will set out to discover the park, by searching for fruits, i.e. flowers that have accomplished their task of giving life to new plants. A surprising journey inside a drop of water to discover the secrets of a teeming world: the world of aquatic microorganisms. We will observe and identify microscopic algae and animals using a microscope with a camera. 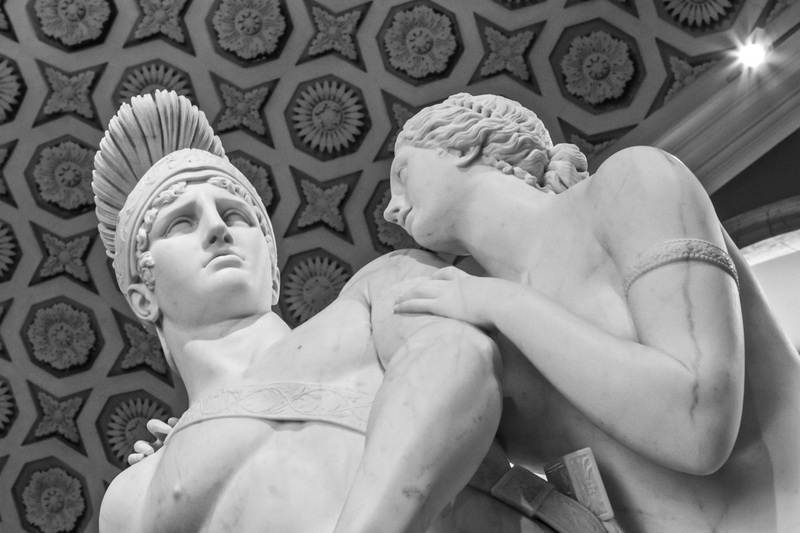 Villa Carlotta jealously guards many ancient myths and stories, hidden among its artworks. This is one way to transform a museum visit into a remarkable opportunity to explore this literature genre, starting from the collections and objects on display. And for once, we will learn by doing… so, leave your books at school! An activity in the form of a survey enabling the kids to investigate the materials and all of the steps preceding the realization of an oil painting. Invited to adopt a scientific approach, the students will become museum detectives, collecting evidence and formulating hypotheses in their efforts to discover all the secrets behind Francesco Hayez’s artworks. An unusual method is adopted to teach the importance of chemical and scientific analysis in the management of our cultural heritage. 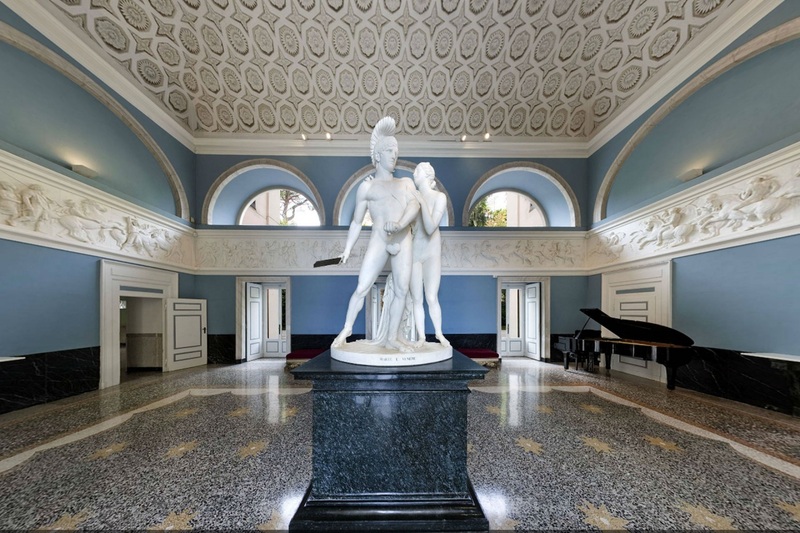 To explore the complexity of an artwork, its different interpretive levels and the various skills involved: this research project carried out at Villa Carlotta is focused on the work of Francesco Hayez. Using tools associated with the various skills of the research team members (chemists/physicians, historians and restorers), we will try to record as much information as possible about the paintings being analyzed, in order to discover the different interpretive levels of a masterpiece. A full day dedicated to the significance of color in art and nature: a guided tour in the park, another in the museum and a laboratory where pigments will be extracted from leaves, fruits and flowers. Three activities to link different subjects and to investigate new hands-on concepts and topics. How do you design a garden? We will find out by sketching the most significant architectural and natural elements of the garden of Villa Carlotta using a notebook and pencil. This process will involve various subjects: from plant physiology to history, from physics to architecture, from geography to art and even biology. We will follow a trail in our search for wonderful plants inside the beautiful centuries-old park where we will find some precious materials for creating our small artworks. After observing the works of some great protagonists of land art, we will go on to create some simple “masterpieces”, later to be photographed for future reference. The floors of Villa Carlotta are a beautiful example of Venetian Terrazzo, a particular type of marble mosaic. You all walk over it without actually seeing it! Together, we will discover this special technique and try to make a simple version of our own. A guided tour with a botanical topic, to observe the characteristics of trees, shrubs and herbaceous species, i.e. the protagonists of the life of a botanical garden. An opportunity to reflect on the precious relationship between man and nature, observing how the able hands of expert gardeners and landscape designers have skillfully melded the needs of plants coming from all over the world with the characteristics of the garden, to create an open-air museum. Discovering the smallest living unit through observations of plant cells and tissues, prepared on slides by the students themselves. The use of a microscope with a camera for image detection on a PC will enable the slides to be viewed by all of the students. In addition, a tour of the garden to investigate where the tissues constitute the organs. The art of botanical drawing requires an in-depth knowledge of plant details and an understanding of their structure, shape and texture. This type of drawing, however, constitutes a scientific tool. We will visit the park to observe and then proceed to draw its plants. Constructing a herbarium in order to familiarize with the plants in our gardens. Making it creative, colorful and useful will be a tough challenge. From the exploration and collection of plants to the composition of a unique herbarium which may be hung up or carried with us at all times, but always carefully maintained. Do you really think that the figures of a painting are casually drawn in? How can we make a statue stand firmly on the ground? What are the leading lines of an artwork? What are they used for? To answer these and other questions, we will offer you the opportunity of an amazing tour to discover the artists’ secrets. We will trace the history of color by preparing tempera with eggs and oil colors as in ancient times: we will start from an artwork kept in the museum and we will use our imagination to create a “masterpiece” of our own. Some general considerations on the various plants used by man with a focus on one in particular, which stands out for its ancient tradition and multiple uses. We will investigate four topics: the botany of flax, from seed to thread, from yarn to fabric, and the sustainability of its production and manufacturing processes. A habitat is the home of a plant or an animal. For one day, we will study the habitats of the park by assessing physico-chemical parameters and analyzing biotic components (insects, crustaceans, arachnids, …). Like naturalists, we will run a number of workshops aimed at discovering the ecology of the different park environments. Plant physiology for kids: simple workshops for getting them to approach scientific experimentation by analyzing phenomena which are described in books but hard to understand. From photosynthesis to sap transport, from gas exchanges to sugar production. To top it all, a tour of the garden! From the portrayal of nature in Art History to landscape art in contemporary installations: how do artists relate with the landscape? And how do we relate with it? We shall start out from some of the paintings displayed in the museum and the extraordinary views to be enjoyed from the garden; we will adopt the languages of science and art. What do leaves and flowers look like to an ant? Can you identify a tree by its branch structure? Two different points of view for investigating the world like junior scientists. Magnifying glasses and microscopes with a camera, papers and pencils: these are our tools. Learning to observe is another way to discover new things! To test a particular artistic technique in a place where art has been preserved for more than two centuries: following in the footsteps of Giotto, we will learn about the ground layer called “arriccio”, what the “spolvero” technique is and where the pigments we use actually come from. The students may take their artworks home with them. Based on set rules, mathematics is part of music, art, architecture, as well as almost all natural elements. Symmetry, proportion and harmony: we will study these and other concepts by observing the distribution of petals on a flower, of leaves on a stem and of veins on a leaf by using such bizarre tools as angular mirrors, thread counters, and compasses to discover the secrets of the natural laws and to learn maths in a way that is fun. 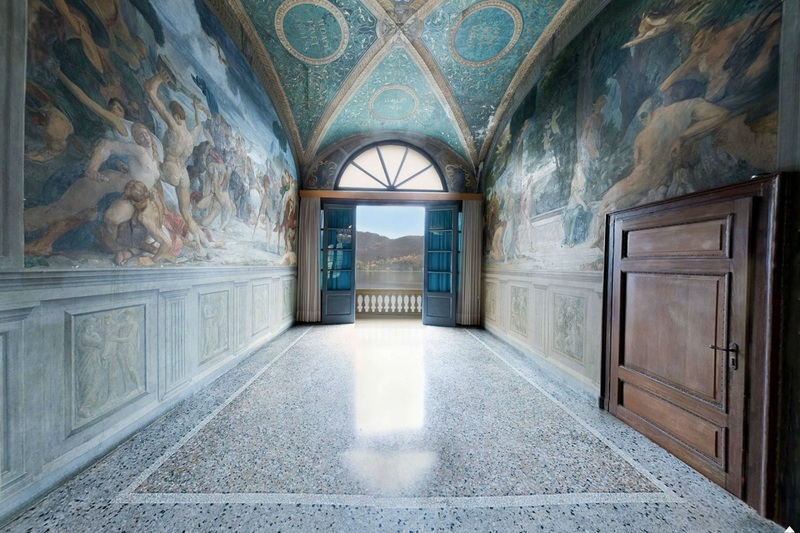 Plaster decorations, oil paintings, mosaics and Venetian terrazzo ... Together we will experience some artistic techniques and use them to make our own mini-collection to take home with us. We will discover what it means to collect artworks and what a great gift the collectors of the past have passed down to us: we will trace the history of the Villa Carlotta museum through the techniques used to create the artworks for which it is so famous. What better location than a garden for discovering the potential of the primary learning tools at our disposal for finding out about the world we live in? To enhance the use of our senses and to learn how to encode the information we receive from the world, we take a plunge into the park through several fun sensorial experiences. Insects are present in each habitat of our planet and allow us to monitor the environmental quality since they are good bio-indicators. They are also important elements of many trophic chains. To discover their amazing world, we will share the experience of sampling and census methods, we will study their habitats and their extraordinary adaptations. The field data collected could be processed at school or could represent the starting point for further studies. What is a museum? 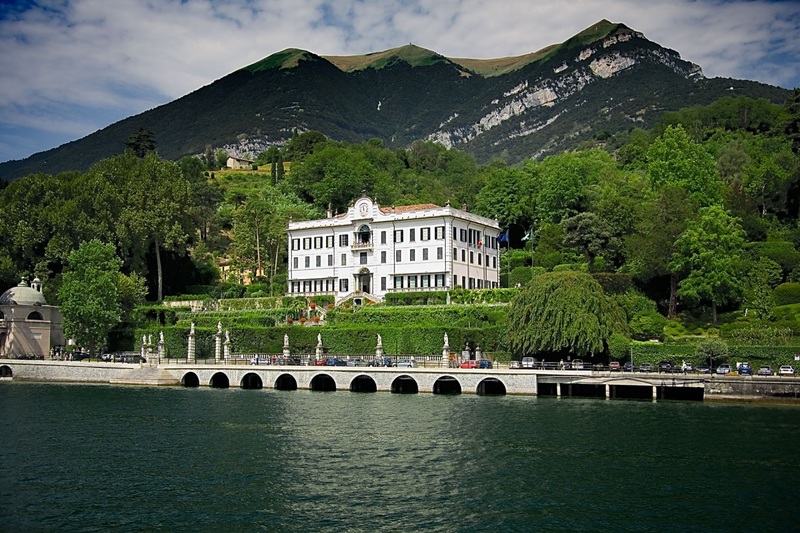 How is the Villa Carlotta museum laid out? Which artworks does it house? How did these artworks get here in the first place? What did the artists wish to communicate through their masterpieces? How did they create them? A journey through the museum collections to discover their secrets and enjoy a full immersion in beauty. This will not be any ordinary guided tour! The park and the museum offer plenty of inspiration and ideas for exploring life science and artistic topics: as we walk around the park and museum, we can enjoy the hands-on teaching approach, we may back up the concepts addressed with bits and pieces collected in the park and we can actually make a number of simple objects to take home. Each student must come equipped with a shoebox. After a short guided tour of the botanical garden to observe some ornamental species that are also important for us from a medical and pharmacological viewpoint, we will make a simple herbal formulation using natural, non-toxic materials and simple methods. How did the extraordinary and wonderful plant diversity we appreciate today come to life? A journey through millennia to investigate plant evolution, from unicellular algae to Angiosperms. Magnifying glasses and notebooks will be our tools: together we will discover the features of the most important taxonomic groups.